Back spasm is an involuntary contraction or tensing of the muscles in the lower back. Usually a sprain or a strain, the back spasm can happen to anyone but is especially prevalent among athletes. A leading cause of back pain, back spasms range from infrequent with mild discomfort to chronic with severe pain, which makes it difficult for one to move. How chiropractic therapy works well for back spasm? Chiropractic care works wonders in reducing the severity and frequency of muscle spasms. Chiropractic adjustments include hands-on adjustments, which assist in aligning the body to take pressure off of nerves and soft tissues in the body, thereby minimizing the nerve signals the brain receives causing an involuntary contraction. Chiropractic care along with massage therapy and therapeutic core exercises helps a lot in managing back spasms. If some of the symptoms are the ones you have been experiencing, learn that many people opt for cold therapy, heat therapy, medications like nonsteroidal anti-inflammatory drugs (NSAIDs), and muscle relaxants to gain relief. However, the most effective way to manage back spasm is proper chiropractic care by the best chiropractor for back spasms. In case, your professional and personal life has got adversely affected by back spasm pain; choosing chiropractic care would be rewarding. Why choose us as your back spasm chiropractor? Dr. Allen Conrad, the renowned back spasm chiropractor possesses specialty in chiropractic, musculoskeletal rehabilitation, strength and conditioning, and has been the preferred choice for Lansdale Pa for the past 13 years. Taking utmost care of countless patients in North Wales and Lansdale PA area, Dr. Conrad’s chiropractic office offers treatments including spinal decompression therapy, massage therapy, and chiropractic care for many types of injuries. Serving as the Team Chiropractor for the Blackthorn Rugby Club, Dr. Allen Conrad is a Certified Strength and Conditioning Specialist as well. 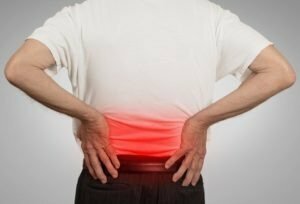 Highly knowledgeable and experienced in helping many other back spasm patients manage their pain and suffering, Dr. Allen Conrad works with his proficient staff members to put together a 3-phase rehab program to decrease pain, improve flexibility, and increase core stabilization through therapeutic exercise. So, stop by our Montgomery County Chiropractic Center once and get an idea of how we can help you manage your back spasm pain to live a pain-free life once again.